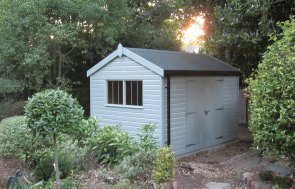 Entirely designed and hand-built at our Norfolk factory, the shed is fabricated from FSC® certified timber and has a workbench installed in the interior so that the customer is able to use it as both a workspace and for further storage options. The smooth shiplap exterior is coated with our Sikkens preservative stain in the shade of Walnut which not only looks attractive but will also protect against fungus and woodworm. The customer also opted to add a security pack for extra peace of mind and reassurance when storing expensive machinery and equipment. Our security pack consists of stainless steel window bars, a heavy-duty, 7-lever sliding bolt padlock and non-returnable screws on the door hinges. 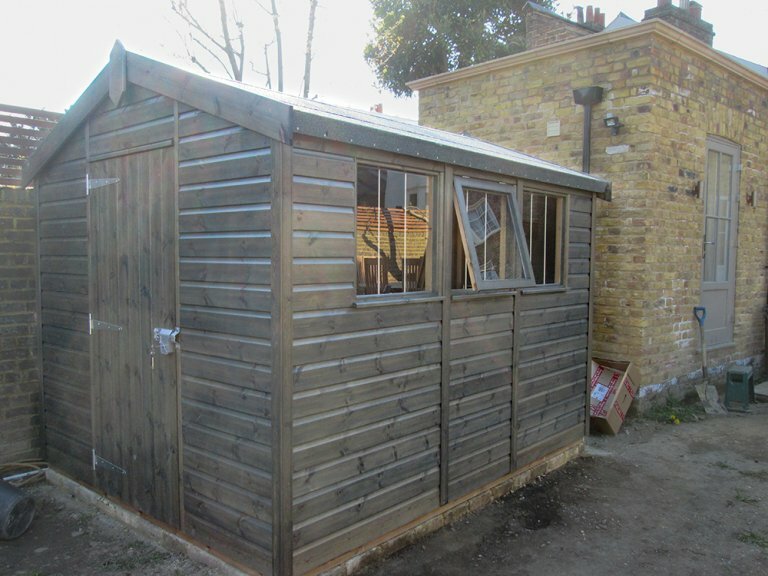 If you would like to browse our collection of Superior Sheds or Garages, you can do so online. 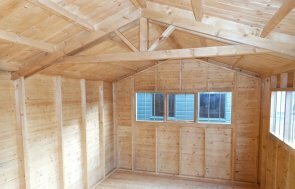 Alternatively, visits to our show sites are welcomed and you can browse the range of high-quality buildings we have on display for yourself. You are also welcome to get in touch with us to speak to one of our friendly experts.